Dr Curtis Whittle is the Simulation Education Lead for the Anaesthetic and Critical Care Department, North Bristol NHS Trust. Dr Whittle is a Member of North Bristol's Simulation and Human factor working group as well as the South West Simulation Network. 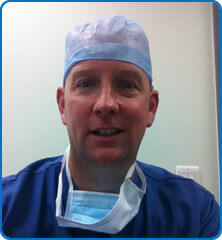 He is also the Foundation Programme Director for FY1 trainee doctors at North Bristol NHS Trust.